IFMRS travel grants are available for members of IFMRS member societies to attend any IFMRS member society or affiliated event. 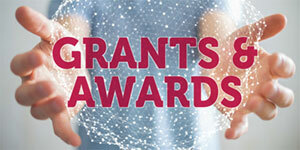 Please note that grants cannot be awarded retrospectively. Your application will be checked and reviewed by representatives from the IFMRS grants committee. We aim to notify applicants within 3 weeks of the event date. Please note that there is a budget for each member society which is allocated on a quarterly basis. If your society has reached its limit you may not be eligible, even if the application process is still open to other societies and/or their annual meeting.